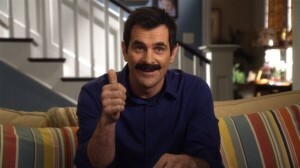 Alex” Dunphy is the youngest daughter of Claire and Phil Dunphy. She is proudly the most cunning and brainy of the three siblings. Her main role is torturing her brother and sister, but she is always seems to have their backs. Haley Dunphy is the first-born of Claire and Phil. She is your stereotypical teenager, obsessed with her reputation, looks, and popularity. Haley was conceived before her parents got married, so they eloped and told everyone that the pregnancy was a surprise. It was explained that Haley was very close with her mother when she was younger, but they grew apart once she hit adolescence. She constantly bickers with her parents and younger siblings, but does show to generally love and care about her whole family. She is also very ditzy, doesn’t think things through, but you can’t help but fall in love with her. Gloria Pritchett is the feisty, loud-mouthed, fun-loving Colombian wife of Jay. She is a mother to her teenage son Manny and also her recent surprise Fulgencio “Joesph” Pritchett. She is much younger than Jay, which doesn’t matter to her, she is happy being a loving wife and mother. She is also known to say whatever is on her mind, despite if it hurts another’s feelings. One of her most distinctive traits is her very thick Colombian accent. She is well known for her many mispronunciations, and using phrases incorrectly. She often supports Manny when Jay tries to tell him to be less sensitive or hide his Colombian background. 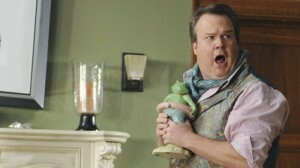 The youngest child of Claire and Phil, is Luke Dunphy, who is usually off doing his own thing. At times, he can be a trouble maker, once shooting his sister with a toy gun and getting into a fight with Manny at school. Like most children, Luke is very innocent and does not always understand the repercussions of his actions. He is also thought to be a bit vacuous, because of many questionable actions. Some of these actions that he is known for are getting his head stuck in the banister and jumping on the trampoline wearing only underwear and a box on his head. 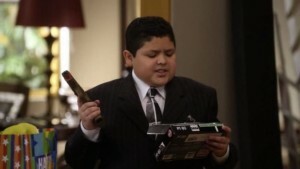 Manny Delgado is Gloria’s son from her first marriage, who is very outgoing and very confident. He is very mature and intuitive for his age and is often shown doing adult-like things. He has inherited his mother’s passion for life which causes him to be very romantic. Mitchell Pritchett is the son of Jay, and he is very level headed and mature. He is a lawyer and his partner is Cam. At most times he is the exact opposite of Cameron which usually causes disagreements. Cameron acts as a counterbalance to Mitchell’s uptight, worrying ways. Because of his mild-mannered, uptight nature, he is sometimes embarrassed by Cameron’s flamboyance. Mitchell and his older sister Claire are a little competitive and his father Jay isn’t completely comfortable with the fact that he’s gay, which most likely contributed to him becoming a momma’s boy. He was initially scared to let his family meet Lily, although she was welcomed with open arms. 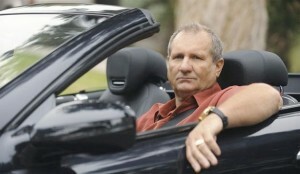 Jay Pritchett, is the head of the family and father of Claire and Mitchell. He is married to Gloria, a stepfather to Manny, and recently a new father to surprise Fulgencio “Joseph” Pritchett. He is much older than Gloria and is often mistaken for her father. Most of the time Jay manages to tolerate Manny’s sensitivity and Gloria’s attitude. Although he usually acts tough, he has a huge soft spot, and values all of his extended family members. He has come to learn a lot in the past few years such as accepting his son as being gay, and becoming closer with Phil who is always trying to get his attention. He has also really worked on being a better father to Mitch and Claire in his older years. 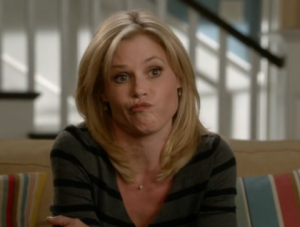 Claire Dunphy is the daughter of Jay, and Mitchell’s older sister. She is very intuitive, very active, sometimes controlling, extremely competitive, and also the somewhat overprotective mother of the Dunphy family’s three very different children. She is often exhausted from the stress created by her family, but is still a loving super mom. When it comes to her kids she has difficulty controlling Haley’s hormones, Alex’s manipulative nature, and Luke’s lack of common sense. Claire is always the family planner, and usually unites the entire group. Cameron, Mitchell’s partner, has a bubbly and outgoing personality and is considered a stereotypical gay man. He used to act as a stay at home dad to Lily, though he has resumed teaching music at Manny and Luke’s school. In addition to being a great dad, we learn that Cam is extremely crafty, an experienced drummer, and is even a clown. Cameron grew up on a farm in Missouri. He was a starting center for the University of Illinois football team, and is a very big sports fan. The best thing about Cam is his mannerisms. He knows how to excite ANY crowd, and is always putting a positive spin on all situations.